Cabbagetown is a diverse and unique Toronto neighbourhood, and home to the largest continuous area of preserved Victorian housing in North America. 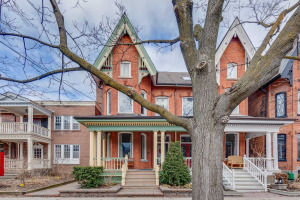 This vibrant neighbourhood is a designated historic district in the eastern half of the downtown core, and contains a wide range of parks and green space. There are an abundance of gorgeous affluent homes, and the area is rich with a variety of gourmet shops, upscale boutiques and arts festivals, booklaunches and wine-tastings at local restaurants. 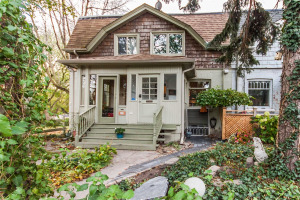 Cabbagetown is an east Toronto community located between Yonge St. and the Don Valley of Toronto, south of Bloor. Among many claims to fame it is known for an enormous area preserved Victorian housing, perhaps even the largest in North America. Cabbagetown's name derives from the Irish immigrants who moved here beginning in the late 1840s and said to have been so poor that they grew cabbage in their back yards. 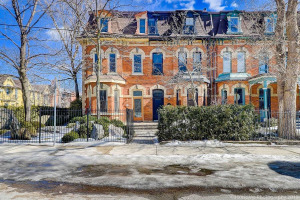 Cabbagetown was once one of the poorest neighbourhoods in Toronto, in the late 1940s much of the original Cabbagetown was razed to make room for the Regent Park housing project, one of the first large scale social housing projects in Canada. 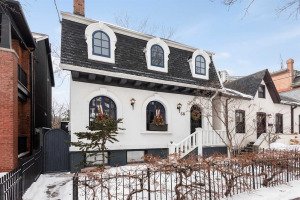 The Cabbagetown name migrated north to the Victorian neighbourhood it now calls home. Cabbagetown also includes a working farm, Riverdale farm . This farm is unique, a former private zoo is now a working farm located with-in a large city . The neighbourhood of Corktown, south of Regent Park, now incorporates part of the southern reaches of 'old' Cabbagetown. Along with a small number of houses east of River Street, this is the only part of the original Cabbagetown area not to have been demolished in the 1940s. In 2004 the present-day Cabbagetown became a Heritage Conservation District, protected by municipal bylaw.